People with orthostatic hypotension (an excessive drop in blood pressure when standing up that can lead to dizziness and fainting) in midlife may be more likely than those without the condition to develop stroke and dementia later in life, according to a study in Neurology. “The presence of orthostasis, especially in midlife, might identify individuals in whom more careful monitoring or risk factor management might be warranted,” wrote lead author Andreea Rawlings, Ph.D., of the Johns Hopkins Bloomberg School of Public Health and colleagues. These findings come from an analysis of data from 11,709 participants without a history of heart disease or stroke who participated in the Atherosclerosis Risk in Communities study. At baseline, 552 (4.7%) of these participants had orthostatic hypotension, defined as at least a 20 mm Hg drop in systolic blood pressure or 10 mm Hg drop in diastolic blood pressure upon transitioning from lying down to standing up. During an average follow-up of 24 years, 1,068 of the total participants developed dementia and 842 had an ischemic stroke. Compared with people without orthostatic hypotension, those with orthostatic hypotension were about 1.54 times more likely to develop dementia, and 2.08 times more likely to have a stroke. Since strokes are themselves dementia risk factors, Rawlings and colleagues did a second analysis that excluded 145 participants who developed a dementia after having a stroke. Even after this exclusion, orthostatic hypotension was associated with 1.45 times the risk of dementia. 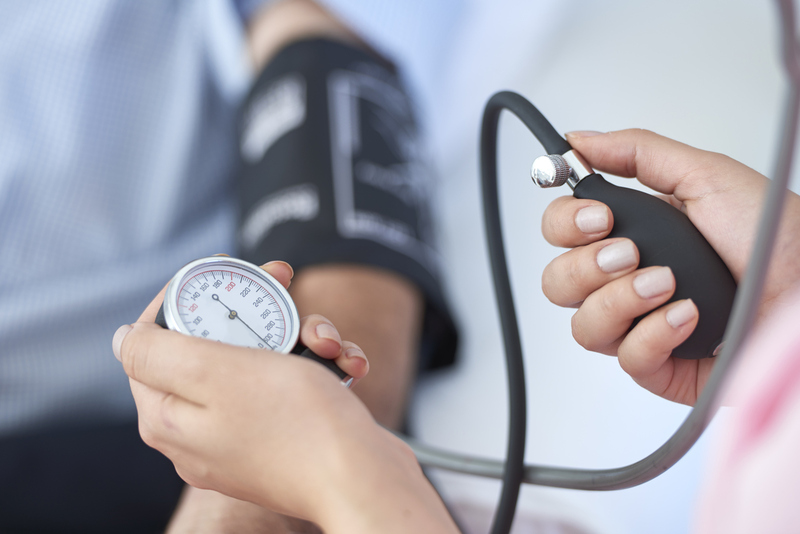 Further analysis also found that people with both orthostatic hypotension and high blood pressure or diabetes at baseline had even greater risks of dementia than those with orthostatic hypotension alone. “For dementia, our finding that OH [orthostatic hypotension] may be particularly detrimental in persons with hypertension and diabetes mellitus adds support to the idea that OH operates primarily via vascular processes, perhaps through microinfarcts or other manifestations of small vessel disease,” Rawlings and colleagues wrote.